Meowy Christmas and HAPPY HOLIDAYS 2013!!!!! Hello everybody and Happy Holidays 2013!! This has been a wonderful life-changing year as I finally started to participate in social media! Thanks to many of you I have a whole new circle of friends! 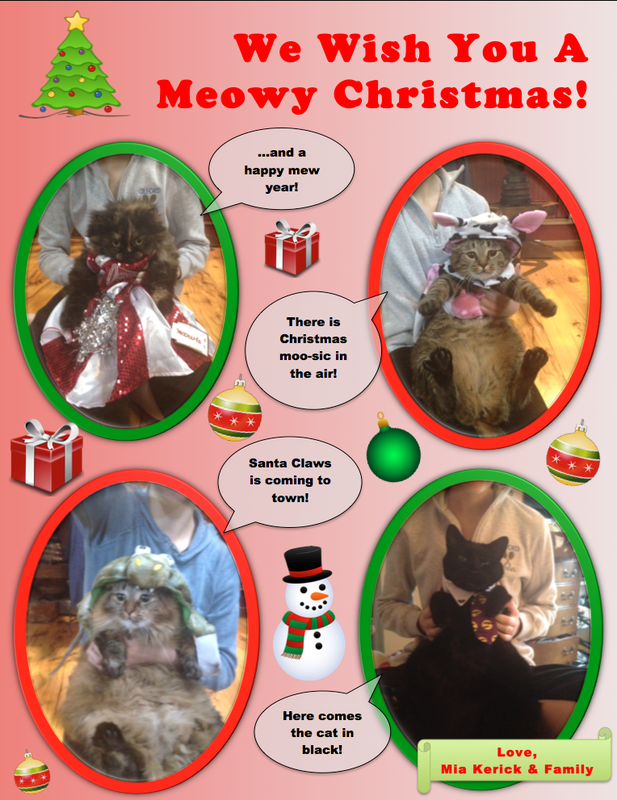 Those are my four cats being tortured, or rather, being “dressed up” for the holidays by my daughters! Thank you all for reading my books and my posts and being an important part of my new year! !